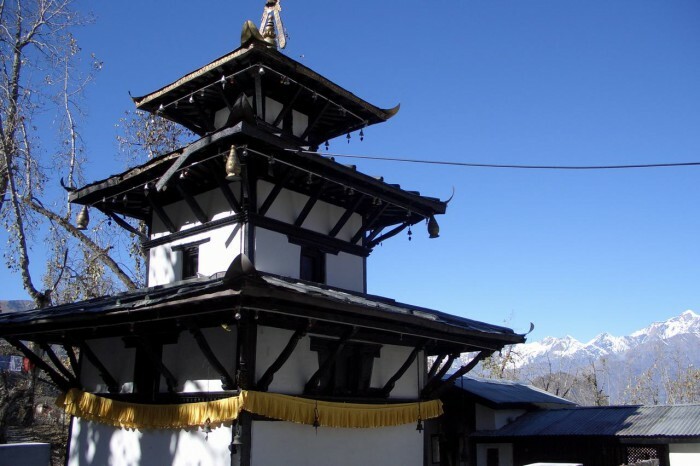 Muktinath tour packages are designed differently for the easy choice for the devotees. Our Muktinath darshan yatra package ranges from 3 days to 8 days. The main objective of these tours is to visit the holy temple of Lord Vishnu, one of the main god of Hindu. Muktinath temple is very famous hindu temple of lord Vishnu. Muktnath is a sacred place for both Hindus and Buddhists located in Muktinath Valley at an altitude of 3,710 meters at the foot of the Thorong La mountain pass in Mustang, Nepal. Within Hinduism, it is called Mukti Kshetra, which literally means the "place of liberation or moksha". This temple is considered to be 106th among the available 108 Divya Desam (premium temples) considered sacred by the Sri Vaishnava sect. The ancient name of this place in Sri Vaishnava literature, The holy stone well known as Saligrama shila is naturally available in the area. Muktinath Darshan by helicopter tour is a designed tour that takes you in a scenic Heli ride from Kathmandu all the way to the Holi Muktinath. Muktinath one of the most Holi temple of lord Bishnu situated at an elevation of 3800m is a most visited Hindu pilgrimage site of Nepal. Our Muktinath short tour is just 3 days holy temple darshan package starts and ends at Kathmandu. For those who are limited by time but want to visit the holy temple of Lord Vishnu, this short tour package to Muktinath is best selection.Our 3 days Muktinath temple yatra starts by a mountain flight to Pokhara from Kathmandu. The remaining time is free for sightseeing of the beautiful lake city Pokhara.